I just love a nice hot cup of cocoa, especially as the weather gets colder, snuggled up in my dressing down and a blanket, watching films on TV. I can’t wait for the Christmas films to start coming on TV. It’s one of the things that makes me feel all Christmasy along with listening to lots of Christmas songs. I’m so excited it’s Christmas. 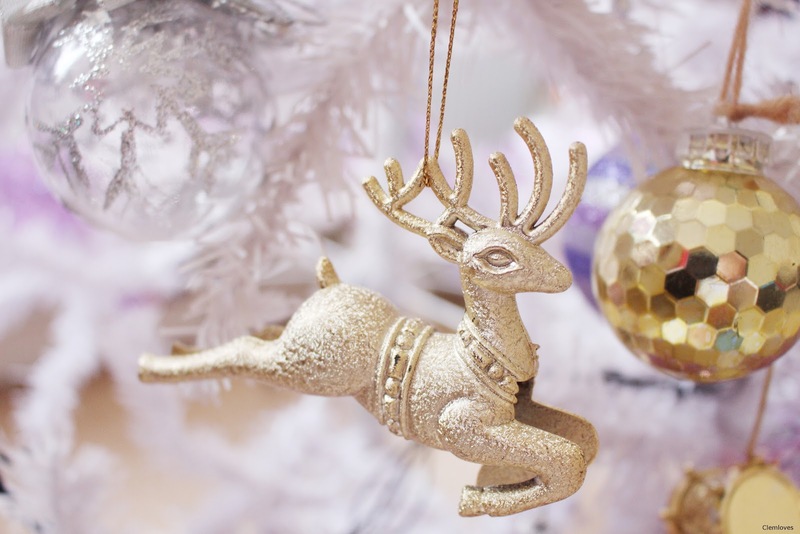 How cute is the reindeer Christmas tree ornament in the photo above. It’s one of my favourites, I just had to take a photo of it. I do have some more photos of the Christmas tree, so I will posting them on the blog. I’m really enjoying doing Blogmas, I’m also enjoying reading other peoples Blogmas posts too. It’s nice to post throughout December, It will be great to look back at what I wrote up until Christmas. That’s one of things I really love about having a blog, being able to look back at previous posts from a few months ago to a couple of years ago and to see what I have wrote. Home Alone 1, Home Alone 2, The Santa Clause, Elf, The Muppets Christmas Carol, The Nightmare before Christmas, The Grinch, Fred Clause, Christmas with the Kranks. Home Alone 1 and 2 definitely go at the beginning of my list. They make me laugh so much. I think out of the two, the first one is my favourite. I really the The Santa Clause films and Elf. One of my most favourite films, which has been since I was little is The Muppets Christmas Carol, I love singing along to the songs. Next on the list is The Nightmare Before Christmas, once again I love the songs in this one, they are so catchy. Lastly on the list is The Grinch, Fred Clause and Christmas with the Kranks. I actually watched Christmas with the Kranks a couple of weeks ago. Day 5 on the advent calendar opened. Here is another Christmas playlist for you. This one is my favourite, it’s a Disney one.